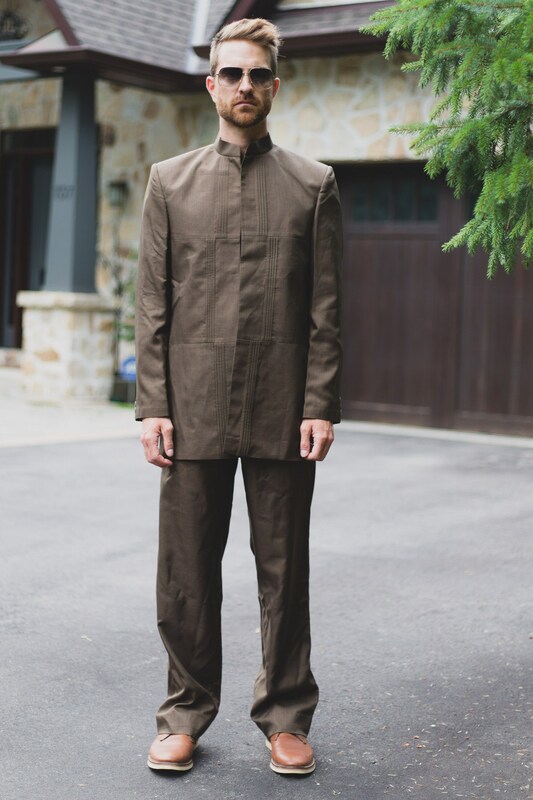 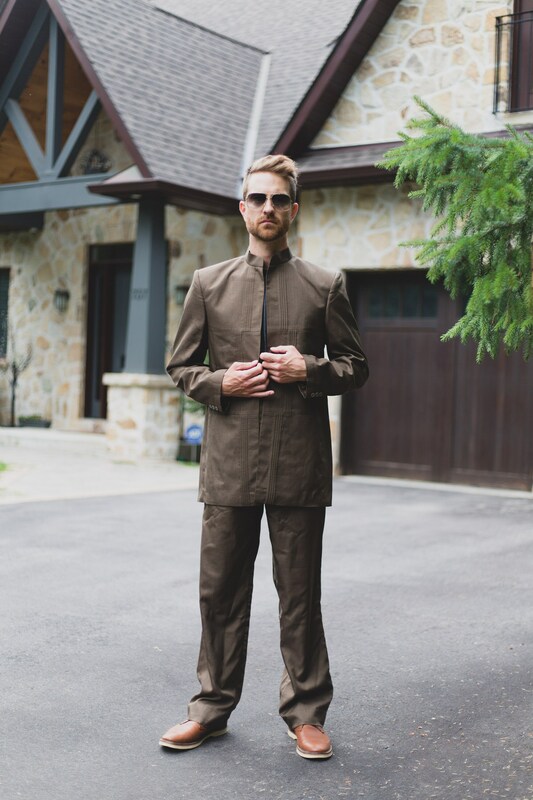 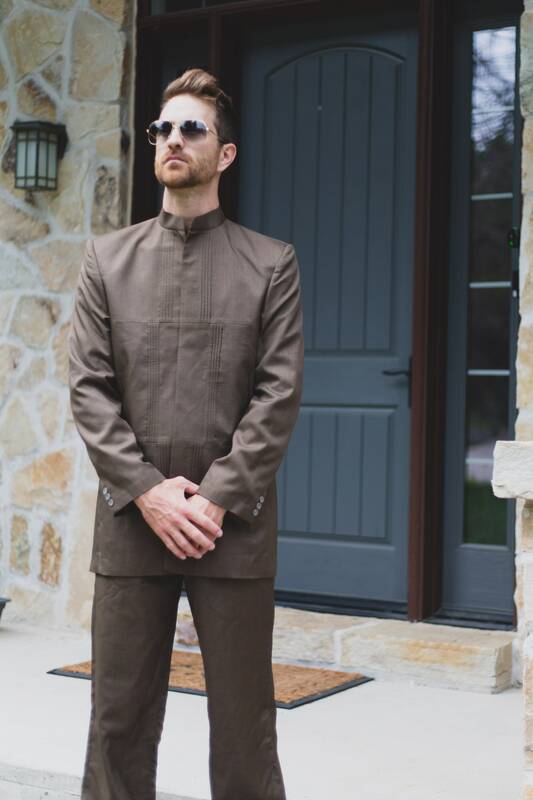 This is a stylish 2-piece bronze/brown coloured suit with a mandarin collar. 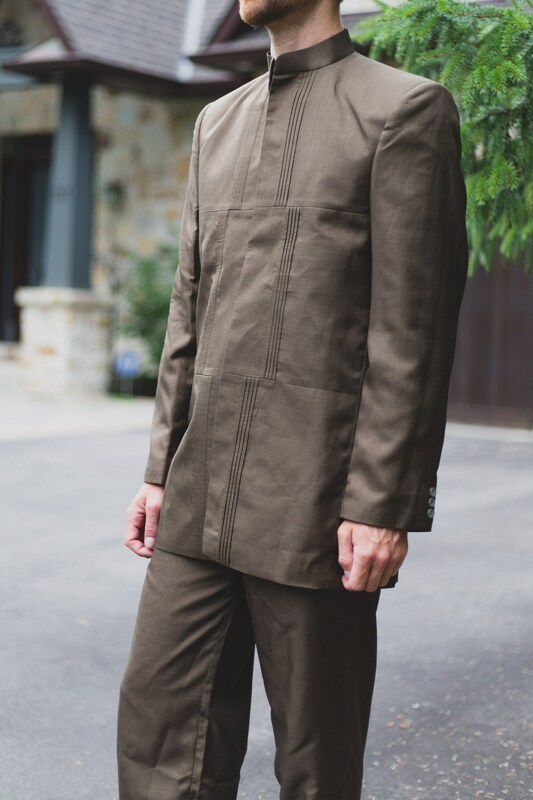 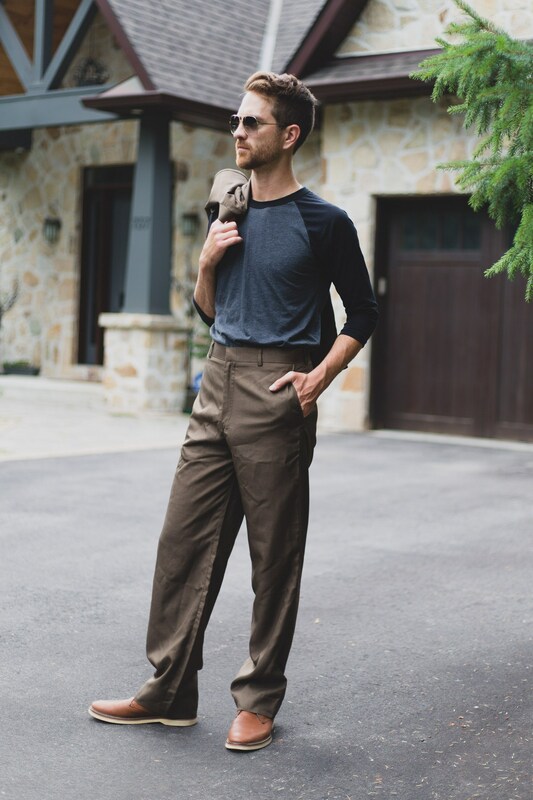 Perfect for the wedding groom or groomsmen. 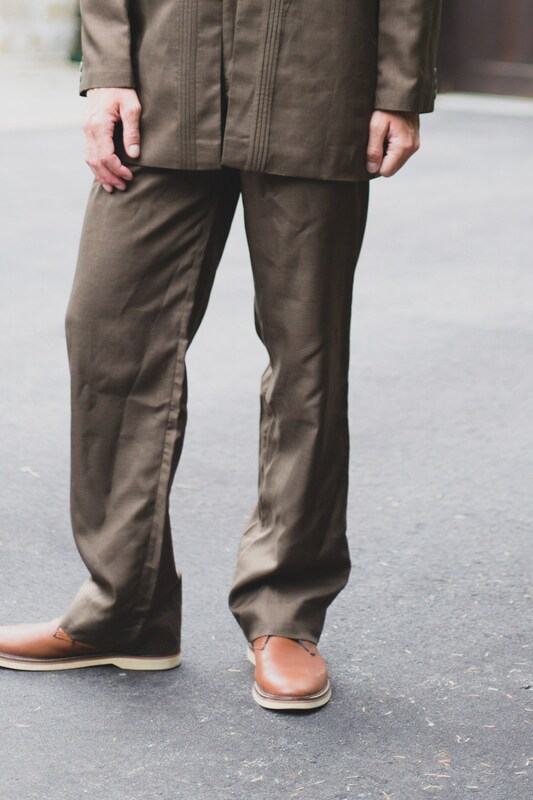 This vintage piece features matching sports coat and pants. 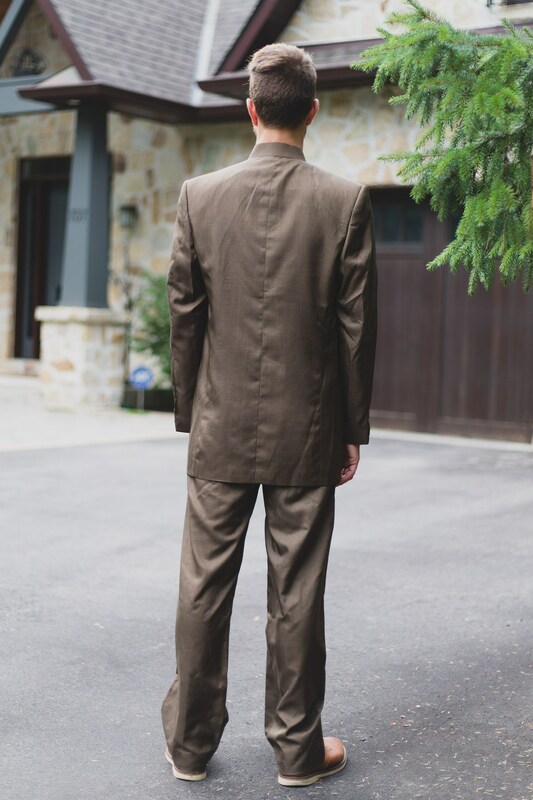 The sports coat does not fasten shut. 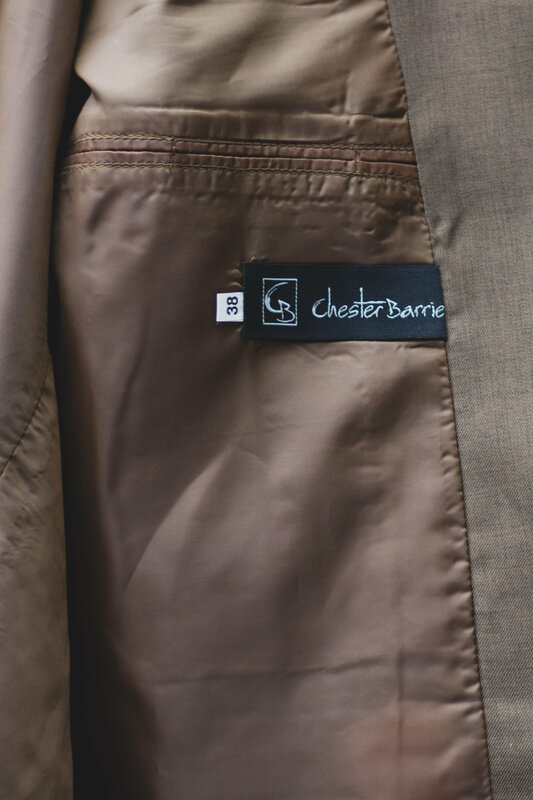 tag reads jacket "38" pants "33". 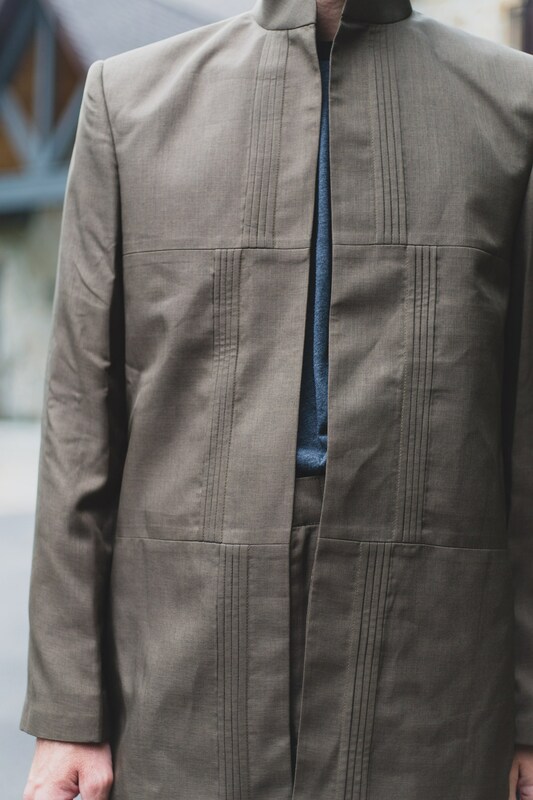 Length from neck seam to bottom of jacket: 32"
Sleeve length (top shoulder seam to hem): 25"